From CCTV installation to setting up secure data sharing, we look at security tech you can’t afford to ignore. Security has never been so important. In our modern world of interconnectivity, threats to our businesses can come from a number of different places. The key to remaining safe in our digital age is vigilance and proper maintenance of security processes. If you are concerned your company might not be as secure as it should be, keep reading! In this blog, we look at three types of security you need to keep your business safe in the 21st century. Every business should have CCTV installed on their premises, and many do. There is now one CCTV camera for every 32 people in the UK. That’s a lot of surveillance. Yet, despite some arguing that there are too many CCTV cameras in the country, we believe there should be more — especially on the average small business premises. It is commonplace to have a security camera on the main entrance, and potentially on back entrances too. Any small business that does not have cameras watching these areas should consider CCTV installation at once. 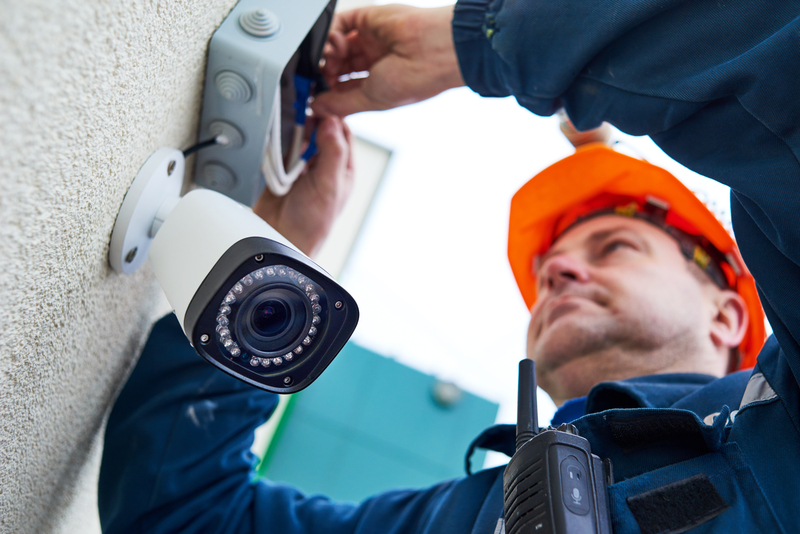 However, there is more to CCTV than just watching the front door, and more ways that it can ensure your business’s safety. CCTV is an insurance policy. It allows you to provide evidence in the event of an incident that results in theft of, or damage to, your property. It also provides evidence that can solve problems or disagreements amongst employees. Having CCTV cover your primary entrances lets you know who has entered the premises, but once beyond the gate you have no evidence of what transpires within your property. Setting up a system of CCTV cameras to monitor more of your business allows you to collect more information about what is going on within it. This provides a greater level of security to both your company and the people that work there. In the 21st century, accessing your business with a lock and key simply won’t do. Prone to disaster, from easy pickings for thieves to the classic losing your key, this old-fashioned method of on-site access is long dead. Any business still operating a lock and key door entry system should immediately consider alternatives. One such alternative is electronic door entry systems, an advancement in the security tech world that has revolutionised business access. How it works is simple and is something you’ve likely experienced countless times before — usually in hotels or on other business premises. Physical security is, and always will be, important, but it isn’t the only type of security tech you need. Online safety is a genuine concern amongst small businesses and large businesses alike. The threat of an attack on their computers, potentially having their files corrupted or worse, stolen, looms as an ever-present fear. Cybercrime is becoming more common, but there are ways you can limit your susceptibility to attacks. The first thing you can do is invest in good quality wireless internet with advanced security protocol. You can also store all of your data on-site, on your own private business servers, rather than leaving it in the hands of a third party. You may also want to consider having data cables installed throughout your business property. Data cables allow you to transfer files, documents and data between computers without the use of a wireless system. Not only is this faster and more efficient, but it also means that the data is harder to intercept, increasing your digital security. Ready to get a bit more dedicated to CCTV installation and data protection? Contact Netcom 92 today. We’re experts in digital security.